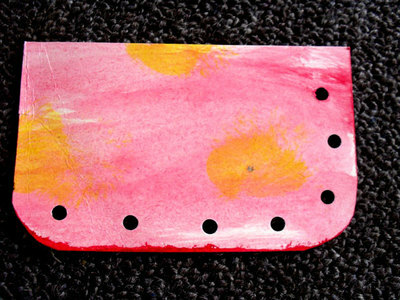 Cut a painted board for a pocket, first cutting it about three inches in height. 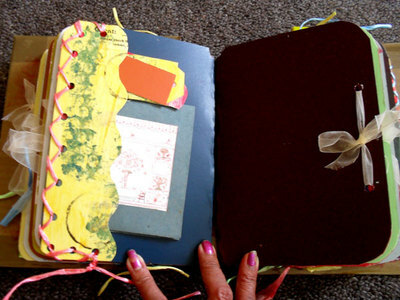 Lay it onto a journal page and mark the lower end of the page, then trim, so it will fit nicely onto the page as shown in the photo. 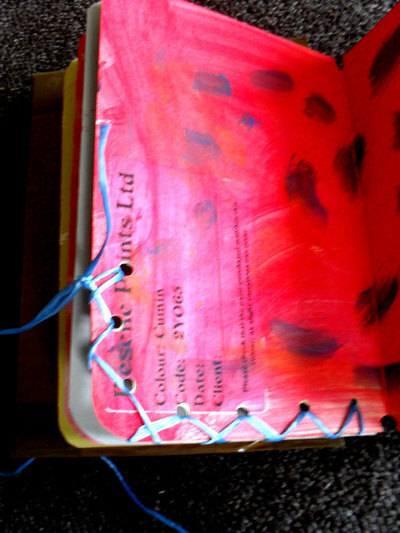 Punch holes along the lower edge of the page and up one side. 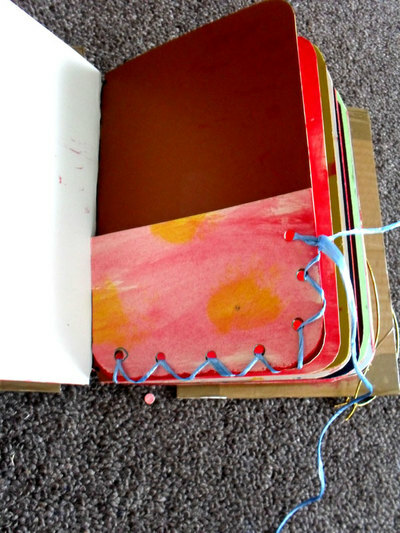 Lay the pocket back onto the journal page and mark where the holes are. 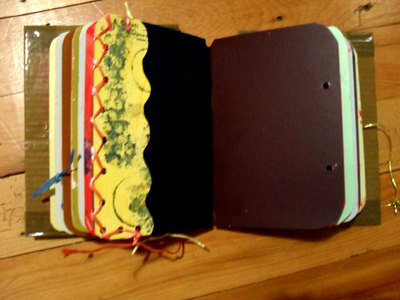 Punch corresponding holes from the journal page. Thread string through the holes - overcast or cross - type stitch and tie off securely. 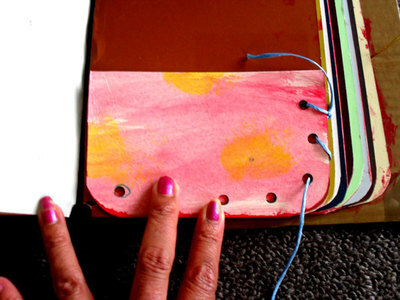 Make pockets for the sides of pages and try using different shapes for pocket edges. Strip holders are made the same way as the pockets. 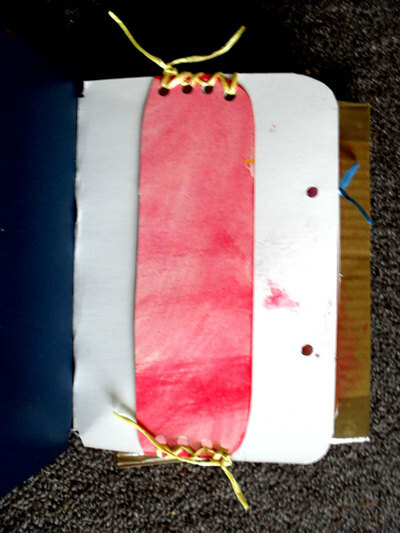 Cut a strip to fit the page and attach to upper and lower edges of page. 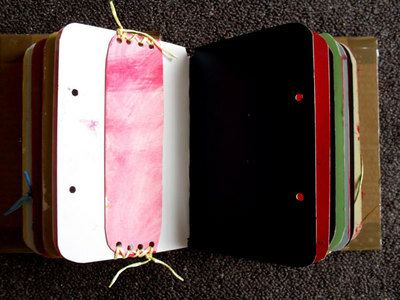 Make some Basic Scrap Tags and Little Notebooks to go into the pockets and strip holders.